Sunday's Oscars: A Repeated Mishap? You are here: American University Kogod School of Business News Sunday's Oscars: A Repeated Mishap? As the nation ramps up for the 90th annual Academy Awards this Sunday, March 4, one can't help but wonder if we'll see a similar mishap as last year. Is PricewaterhouseCoopers still in charge of preparing the announcement envelope? Will the presenters announce correct winners? How is the Academy handling this process differently than last year? These concerns echo last year's historic mix-up, where presenters Warren Beatty and Faye Dunaway incorrectly announced the best picture winner. While they took the initial heat for the mistake, true responsibility fell on PwC. Two of the accounting firm's partners were charged with guarding the winners' envelopes; and, as history shows, they lacked a crucial attention to detail in the moment. The mistake's implications were much deeper than just disappointment and embarrassment. PwC has a long-standing relationship with the Academy (83 years! ), where, in addition to assisting with the awards, they prepare their taxes and financial documents, and oversee their annual board elections. If the firm could make a mistake of this magnitude, what type of error could they make in their other work? According to Casey Evans, former director of Kogod's MS in accounting program and newly appointed assistant dean of undergraduate programs, PwC's saving grace was in how they handled the situation. 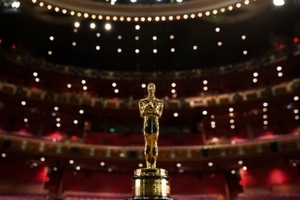 Following last year's Oscars, the firm acknowledged their mistake, apologized for the oversight and assured the Academy-and the public-that it would never happen again. "When mishaps such as these occur, how it is handled is key," Evans says. "PwC minimized the overall damage to its reputation and relationship with the Academy because they quickly accepted responsibility for the mishap and were transparent about what occurred." So, what is PwC doing this year to uphold to its promises? Last year's employees are not returning (though they are still proud partners at PwC). Instead, PwC is sending longtime partner Rick Rosas, who previously manned the Award post for 14 years, as well as the firm's chairman and a senior firm partner. In addition to switching out employees, PwC and the Academy have instituted a more detailed process for managing the announcement envelope. All three will attend dress rehearsals, and they've instituted a new backstage process in which a partner will also be stationed with the show's producers in a control booth. "PwC has removed the partners in charge from the engagement and changed the internal controls around the ballots to ensure it won't happen again," explains Evans. "Again, because of how they've handled this, I'd say the negative impact on their reputation has been short-lived." Tune into the 90th annual Academy awards this Sunday, March 4, at 8 p.m. EST on ABC.